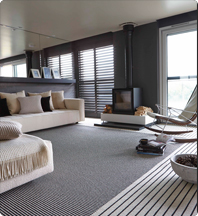 Carpetright is a leading floor coverings retailer. Since our foundation in 1988 we have grown both organically and through acquisition into an international retailer, operating in four European countries. The Group listed on the London Stock Exchange in 1993. Our commitment to our customers and our people is central to everything we do. We employ over 3,000 people across our organisation who work hard to deliver excellent customer service and help our customers transform their homes. Operating in a sustainable and environmentally responsible way is important to us.